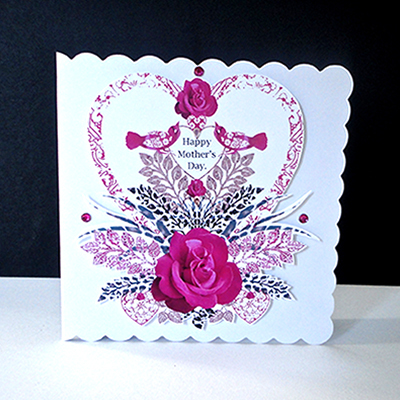 This beautiful card is perfect for a loved one on that special day. 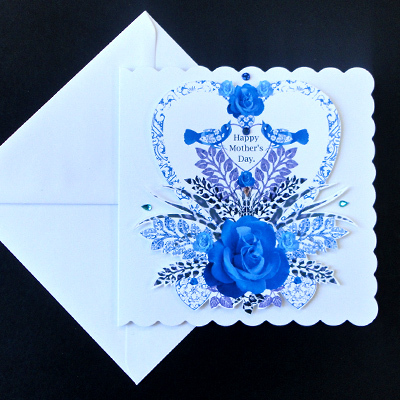 The cool intense blue central rose with its spray of patterned grasses and leaves holds a decorative heart. 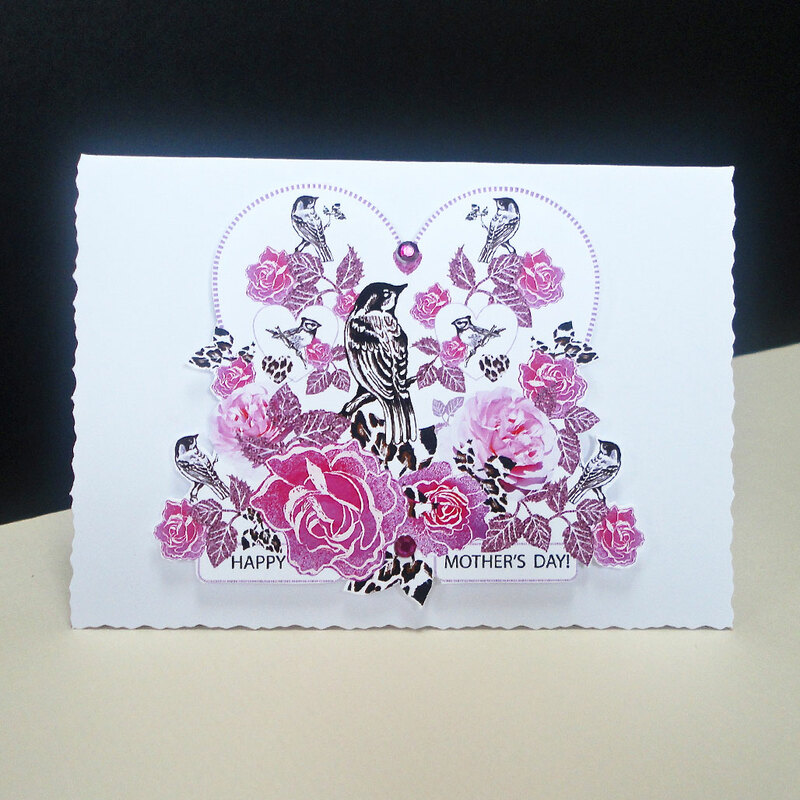 Two birds frame another smaller heart with the words ‘ Happy Mother’s Day’. 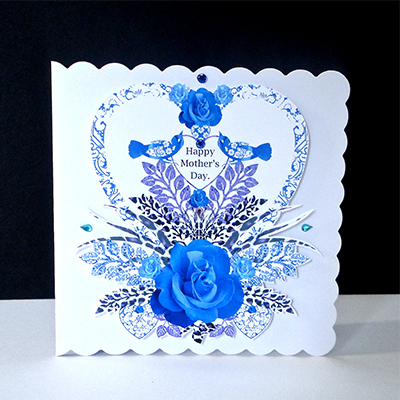 This uniquely designed image is mounted on a white scalloped edge card embellished with blue glass gems. 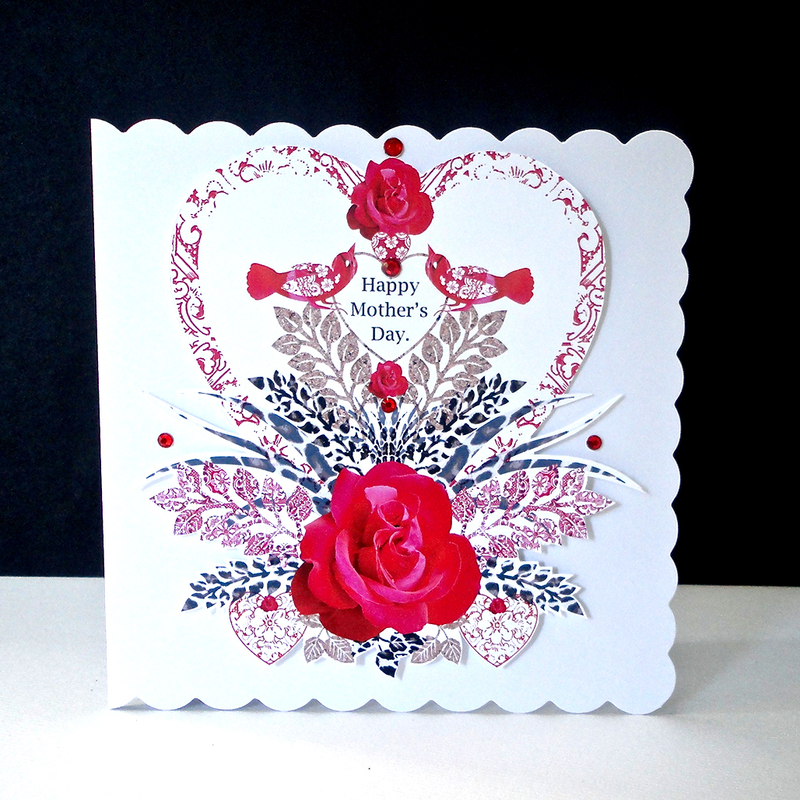 This design for ‘Mother’s Day’ is available in three amazing colours, traditional red, fuchsia pink or intense cool blue. 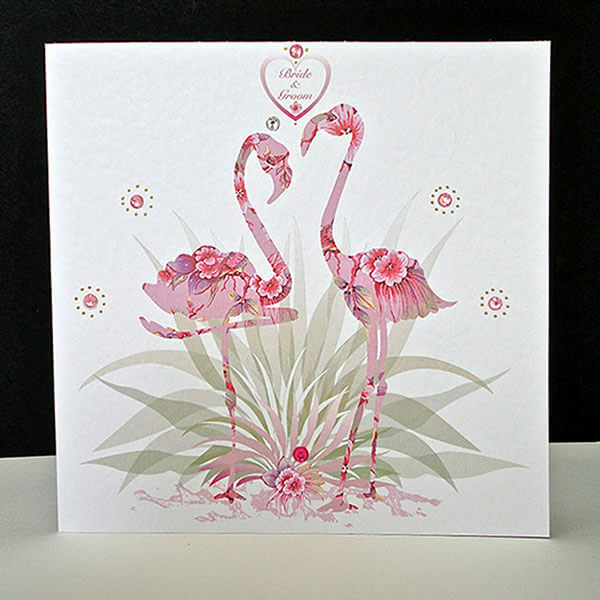 As with most of my hand-crafted cards the text can be changed on request to suit your requirements, some examples are: ‘Happy Birthday,’ ‘I Love You,’ or ‘To My Sister’. Please fill in the Personalisation box below. The inside is blank for your own message. 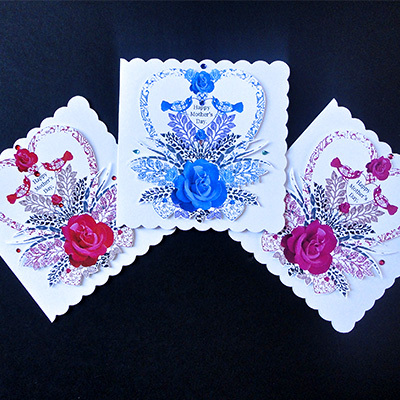 The white card is 150 x 150 mm with a matching white envelope. Personalise with a family member or names.